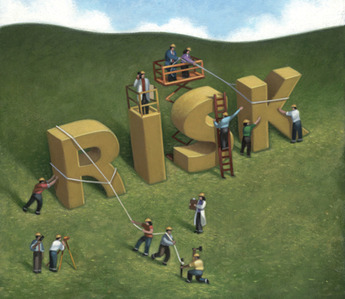 SP500: High Beta - Low Beta ETFs: Risk Taking Lowest since May 2013 ? ​​​​​​​​( See chart below - Bottom Panel - Red Trendline ). ​​​​​​​​​( See second chart below - Top Panel - Blue Trendline ). ​​( See chart below - Vertical Trendlines and Ellipses ). The level of risk taking now according to that ratio is at the zone ​reached ​at the beginning of May 2013 with no rebounding in sight. ​​​​( See chart below - Top Panel Amber Trend Line - Ellipses ). ​​​Also interesting to note​​ the Fear and Greed Index from CNN Money is bottoming out​ but as of September 29 is still at the Extreme Fear Level. 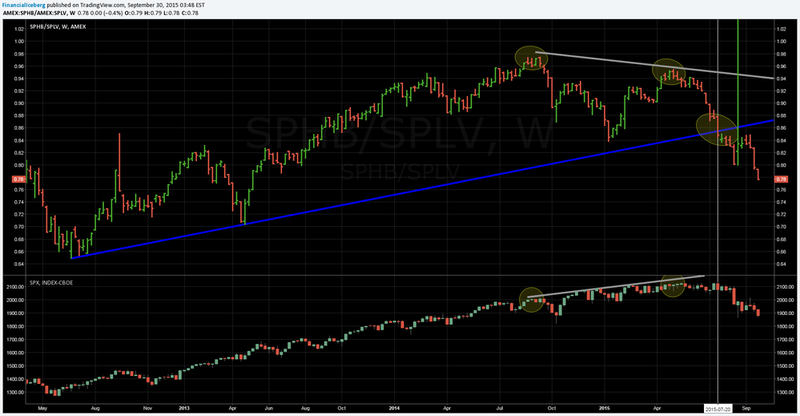 ​​​​​The SP500 Index (SPX) broke on August 20 a Rising Wedge Pattern. that started since December 16 2014. ​​​​​​ ( See chart below - Bottom Panel - Red Trendline ). But the most interesting technical pattern here is that we are at the Support Trendline​​ that started back on October 15 2014. The battle ground for the SP500 Index is now between that Support Trendline and the old Trendline form the Broken Rising Wedge that becomes resistance.​​​​​​​ ( See chart below - Bottom Panel - Blue Trendline ).